Those remarks always come from my friends or relatives upon learning I now live in Spain as I pursue my doctorate studies. I must admit that I am an avid soccer fan myself, but I do not spend my whole time hanging around stadiums or souvenir shops. However, I can understand why people tend to associate Spain with soccer tourism. In an academic article written by Estela Marine-Roig, she cites among the tourists who visit Spain two groups: those who come for religious pilgrimages and those for secular pilgrimages. People may experience enchanting religious pilgrimages visiting the famous Basilica of Sagrada Familia in Barcelona or the great cathedral of Sevilla, which is believed to host the tomb of Christopher Columbus (or Cristobal Colon as known by the locals). Whereas some sites in Andalusia are also famous for Muslims, as the region was inhabited by the Moors from 800 AD until the 17th century. Although now it is used as a Catholic cathedral, Mezquita in Cordoba is regularly visited by Muslim tourists who want to see the remains of the Muslim occupation. On the other hand, secular pilgrimage sites in Spain are also aplenty. Art and design lovers will marvel at the Sagrada Familia the famous cathedral by Antoni Gaudi in Barcelona, the Prado Museum in Madrid, Frank Gehry’s Guggenheim museum in Bilbao or Santiago Calatrava’s bridges and futuristic looking buildings. But the most famous secular pilgrimage sites are of course soccer stadiums. One of the richest, most successful and popular soccer clubs in the world is FC Barcelona. 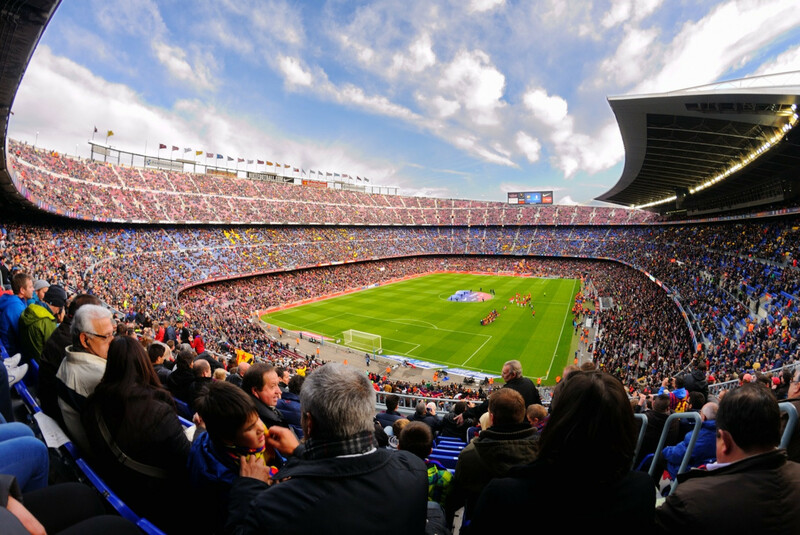 Though one may enjoy taking a walk on Passeig de Gracia or Plaza Catalunya while shopping for well-known branded products, visiting the Camp Nou stadium and FC Barcelona museum is definitely a must, even though soccer is not your main interest. The FC Barcelona tour, which is dubbed "The Camp Nou Experience", shows us how advanced the soccer club’s management is in packaging people's passion for soccer into an extraordinary experience. As soon as we set foot in the first room of the museum, we can immediately feel the heroic nuances of the "Barça" living legends. Hundreds of trophies that the Catalan club has won since the 1900s are neatly kept inside fancy glass cases. The six trophies won in 2009 are kept separate, signifying how special the year was as they were monumental achievements, considered difficult for any soccer club to repeat. 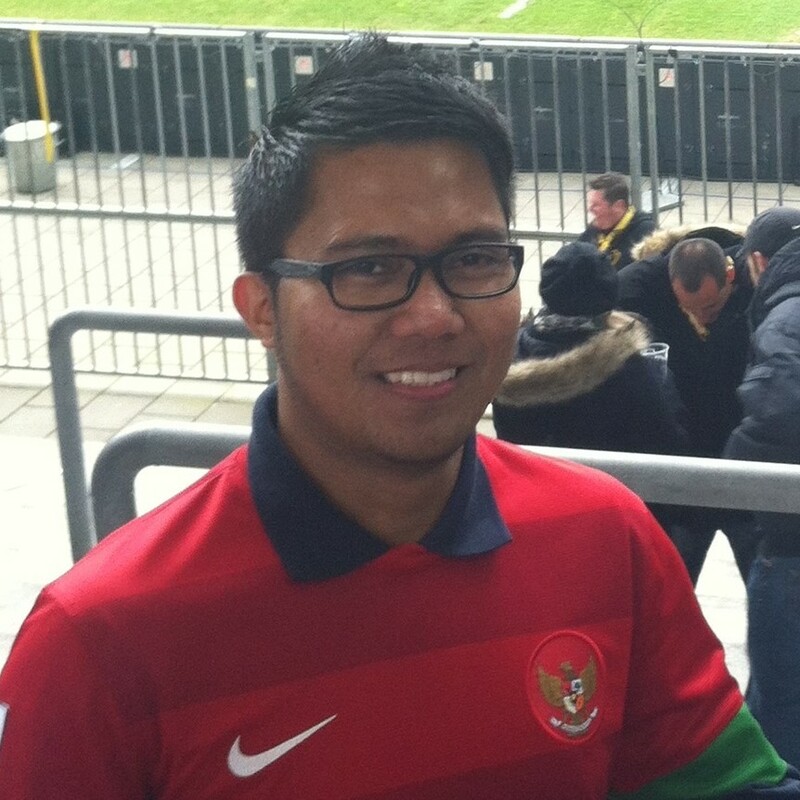 The 26-euro entrance fee might feel expensive if you are not that into soccer. Soccer fans will feel differently however, since admission enables them to enter the changing room used by Lionel Messi and friends, take pictures on the green edge of the grass field or even sit on the substitutes’ benches. They can enjoy a taste of being inside Europe’s biggest sports stadium, which can host up to 95,000 spectators. The Camp Nou Experience is not Spain’s only destination of secular pilgrimage for soccer buffs. There is also FC Barcelona’s longtime rival, Real Madrid. Known as the richest, if not the most successful soccer club in the world, Real Madrid has become one of the most popular sport brands. Even in the 1950s and 1960s, Real Madrid was winning prestigious trophies and dominated Europe with their quality futbolistas (soccer players), namely Alfredo di Stefano and Ferenc Puskas. Hence, the Real Madrid museum’s most prized collections are the European trophies from the 1950s, next to the recent ones they won in the 2010s. Aside from long-run success, the name Real Madrid has been synonymous with wealthy and world-class players. The Santiago Bernabéu stadium has become the stage for Ronaldo Luis Nazario da Lima, Luis Figo, Zinedine Zidane, David Beckham, Ruud Van Nistelrooy and more recent names such as Gareth Bale and Cristiano Ronaldo. The names are incorporated in the Santiago Bernabéu Stadium and Museum Experience, which will attract soccer fans to become part of this long history for 25 euros. If you want to experience something different from those two clubs, other stadiums and club museums are also worth visiting. Atletico Madrid, Valencia and Sevilla are appealing alternatives. Personally, I was quite impressed with the experience at Mestalla (Valencia) and Ramon Sanchez Pizjuan, Sevilla. The tickets are not as expensive as the two aforementioned giant clubs. The Mestalla Forever tour costs 11 euros, quite cheap for a tour that has been certified and recommended by TripAdvisor. Meanwhile, a tour of Sevilla's Ramon Sanchez Pizjuan stadium also costs roughly the same at 10 euros. Atletico Madrid, however, is a bit different. The club seems determined to compete with the stadium experience of Real Madrid, its rival city club. After being taken over by investors from China (Wanda Group), Atletico demolished its old Vicente Calderon and moved to a new stadium, Wanda Metropolitano. Inaugurated in 2017, the stadium with a capacity of 67,000 spectators has received a certification as a four-star stadium by UEFA (Europe’s soccer governing body). It is regarded as prestigious as other famous stadiums such as the Allianz Arena in Munich and the Amsterdam Arena. The Wanda Metropolitano management sells its stadium and museum experience ticket for 16 euros. If the club consistently builds its worldwide brand, it could challenge Barcelona and Real Madrid as Spain’s market leaders in sport tourism.